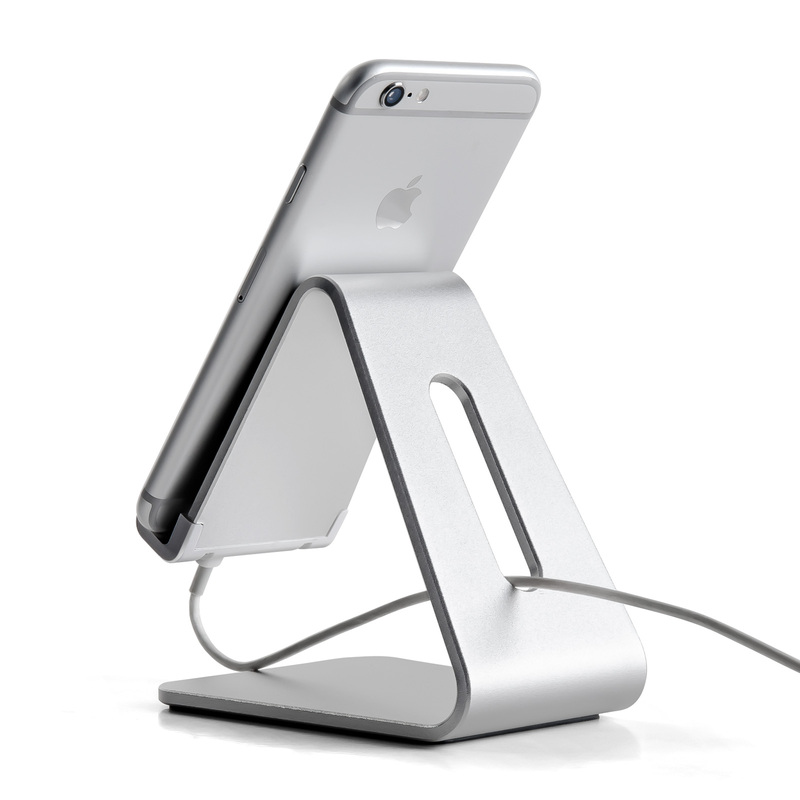 Suitable height, perfect angle of view when using Facetime and YouTube, makes it so easy to read message and emails. 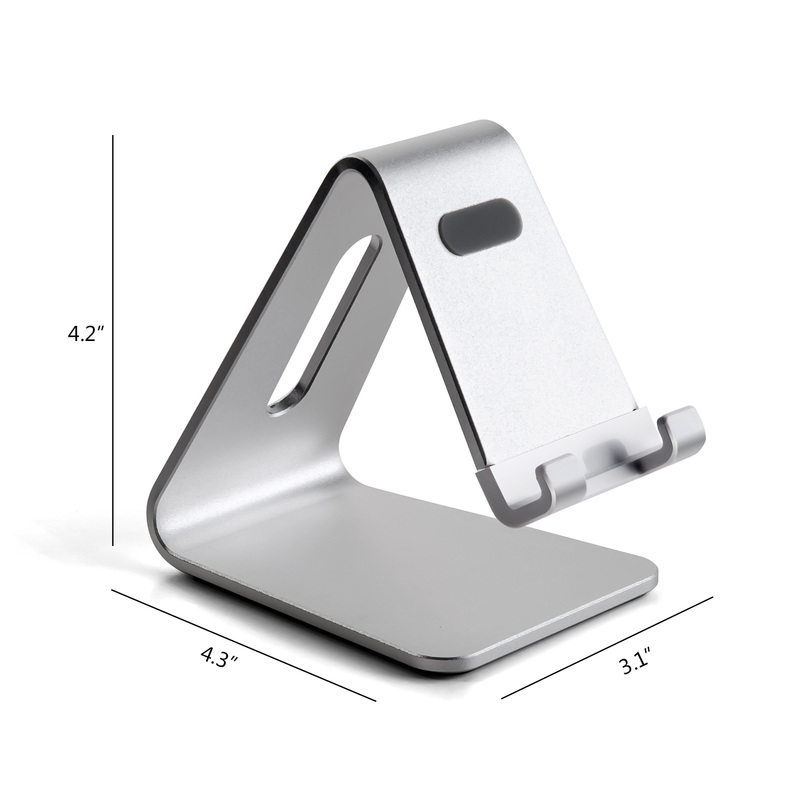 Extended hooks keep the phone in safety, and rubber cushions protect the phone from scratches and sliding. 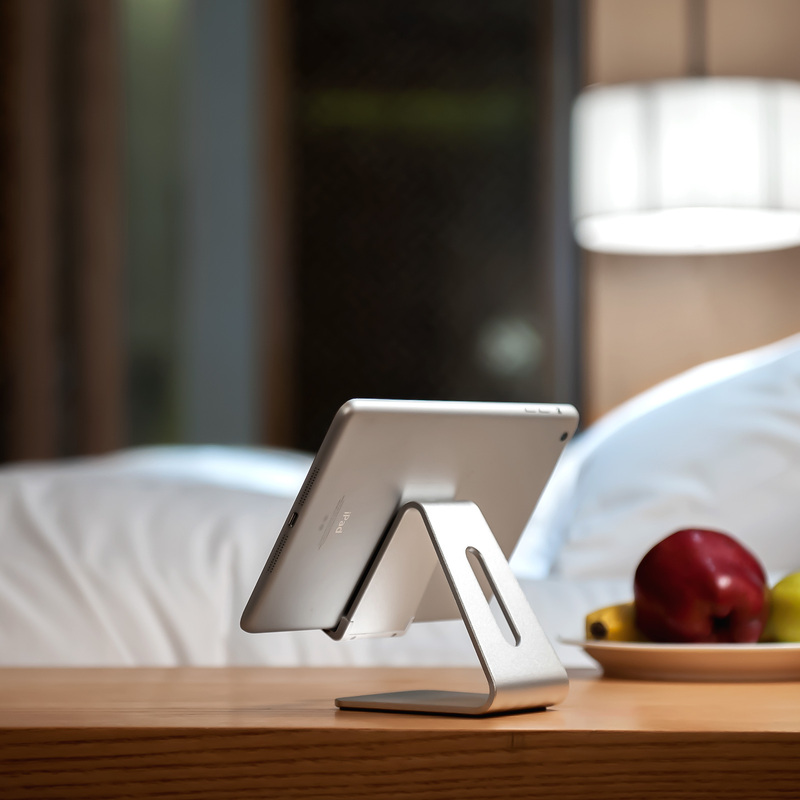 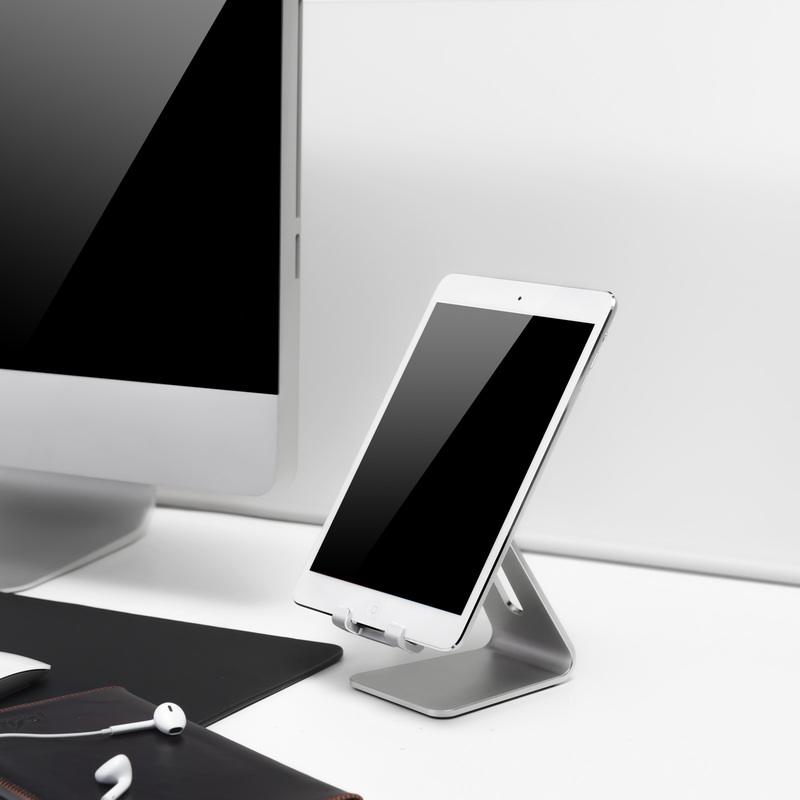 Back slot cutout provides easy to sync charging your phone, keep your desk neat. 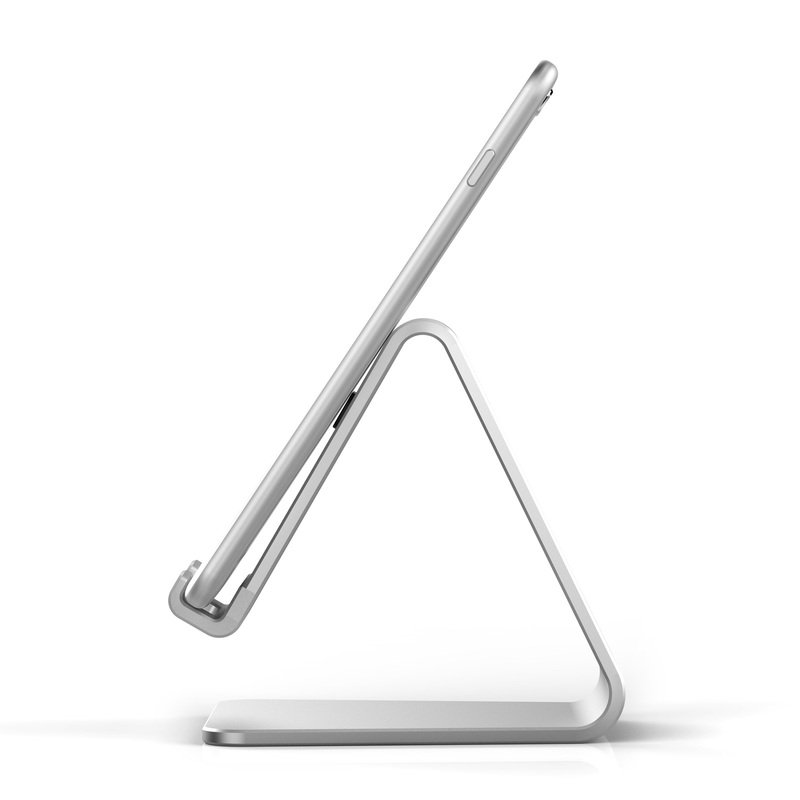 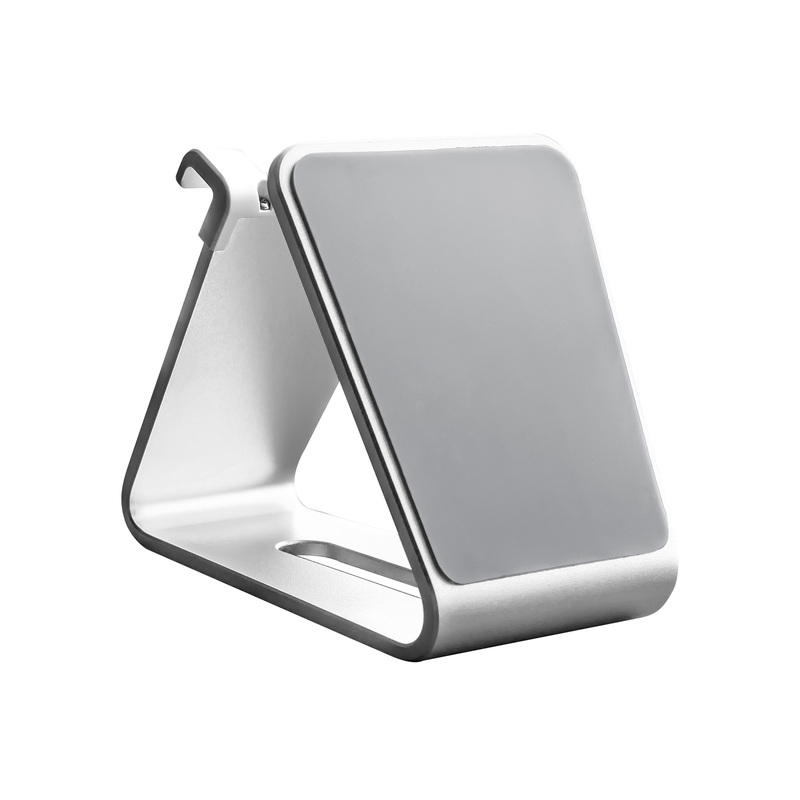 Shining silver aluminum stand, with lightweight and sturdy, it perfectly work with cell phone. 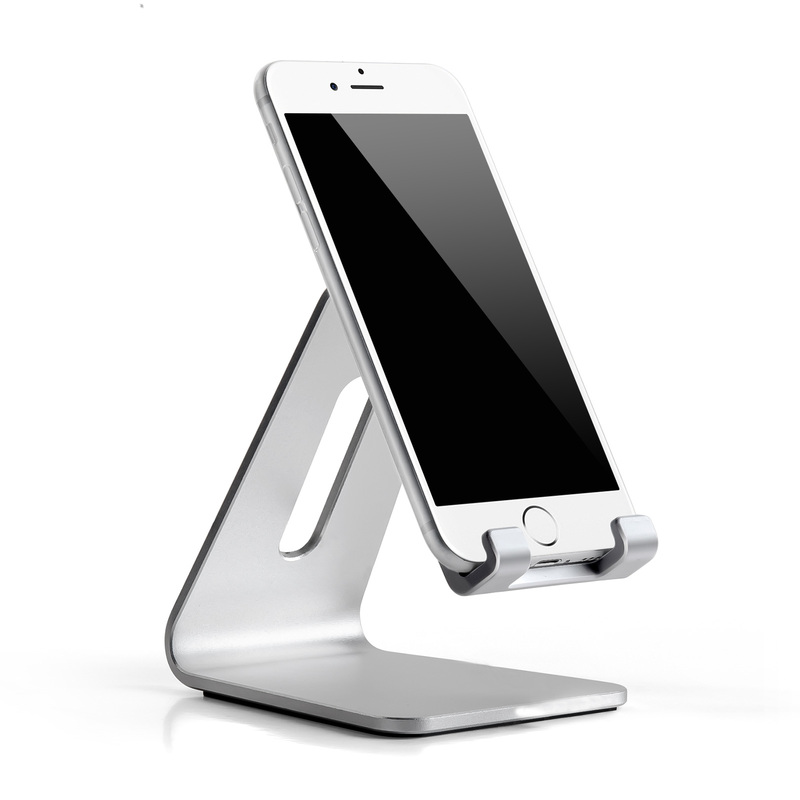 Package contents: 1 piece of UPERGO cell phone stand, and free lifetime technical support.